Getting The Carnival Onto Your Nails. A while ago I got some amazing Bio Seaweed Gel nail mail and in it was this amazingly colorful collection which was last summer's collection but is still completely on trend and has the perfect Summer shades. Yup, you guessed it, I am talking about the Carnival collection. 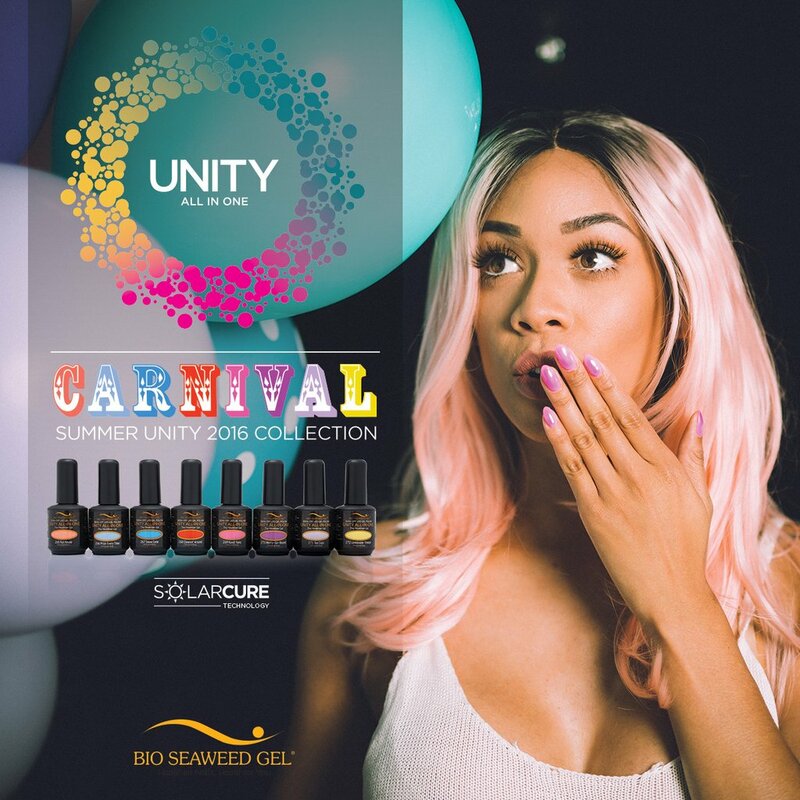 The colors of the collection are part of the Bio Seaweed Gel Unity line which has both base and top coat included into it and it also is made with the Solarcure technology which allows the gels to cure under direct sunlight... Isn't it fun? ...and let's not forget the fact that these polishes, just like all the BSG products, are harsh chemicals free and safe for your kiddies to be around. Now without waiting one more second, here are the swatches of the beautiful colors of the Carnival collection. Don't forget if you want to get you Bio Seaweed Gel goodies with 10$ discount, use my code KAYSPOLISH on their website www.shopbioseaweedgel.ca (No minimum purchase). Pros also get a free top coat by using my code with any order of 100$ or more. I'm a High School teacher from Montreal (Qc, Canada) with a passion for nails... My goal: Share my knowledge and passion.